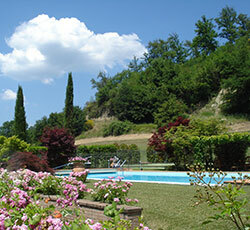 Misting systems against mosquitoes in garden, pool and patio from the freezanz line of products. 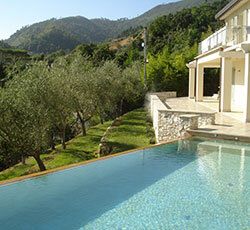 Systems for gardens ranging from 200 to 8000 sqm efficient and sure. 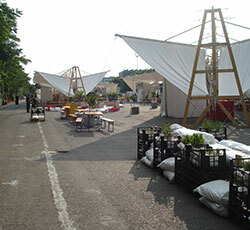 Free outdoor residential areas from mosquitoes with guaranteed efficient technology! 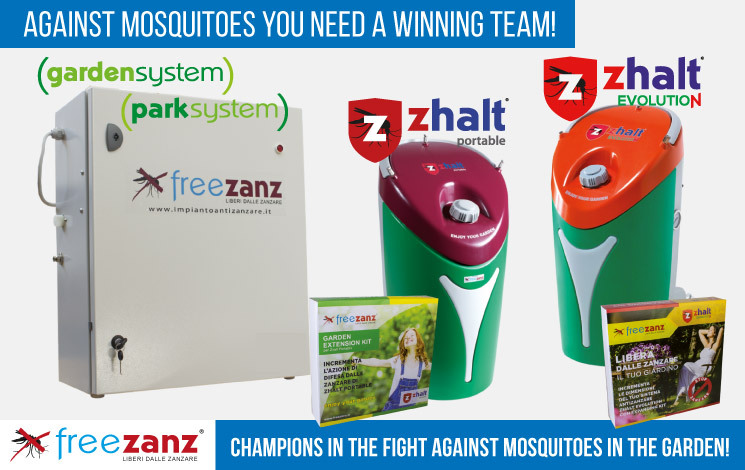 The systems against mosquitoes with misting technology freezanz have researched and designed their product to meet the needs of people like you who want to appreciate and make the most of their outdoor space WITHOUT the problem of mosquitoes. What’s more annoying than the presence of mosquitoes during a pleasant summer evening with your friends or family? Or to have dinner in the restaurant garden and continuously swat flies or mosquitoes on your arms or legs?! 5 stars - "The best solution for us"
After many trials, we have finally found the answer to resolving our mosquito problem. 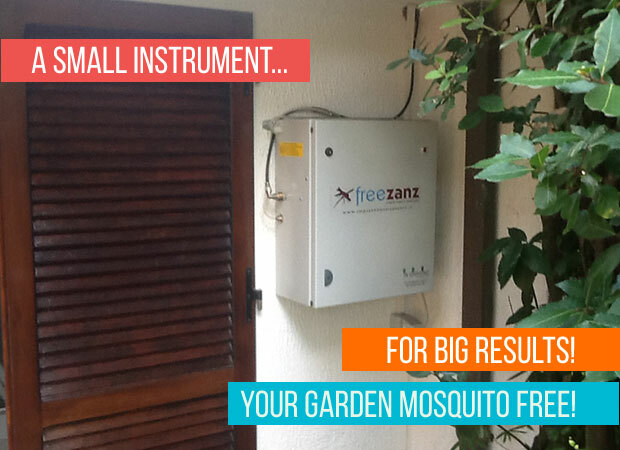 Thanks to freezanz we can eliminate annoying mosquitoes from summer evenings in our garden. Mosquito misting system freezanz has been studied, developed and made in Italy. The experts of freezanz have discovered a new technology, highly reliable and efficient, that keeps away and reduces the presence of mosquitoes in the treated area. The system consists of a central unit that you can position outdoors where you want, as long as there is a electic plug and access to the water line. Also a series of tubes, adapters and nozzles and that surround the treatment area. Our technical experts have studied together with 'you' the best solution to your problem for your garden. Tubes and nozzles are hidden from view and don't restrict the normal use of your garden. naturiz, one of the products used in the mosquito misting system Freezanz ensures and efficient treatment for the entire day creating an aromatherapy bubble keeping insects away and giving you back your outdoor space. A product scientifically resulting safe for humans, animals and for plant life and the properties of the formulated odor, (pleasant for people) is unwelcoming to mosquitoes, flies and other flying insects resulting in them staying away from the treated zone. Is it ideal for me? The mosquito misting system is able to easily protect gardens from 200sqm up to 8000-9000sqm. Have a look at one of our outdoor misting systems (in italian only) or download our brochure (in english). Whatever size your garden is, we have the solution! The selection of systems that make up the freezanz line offer to protect from the smallest of gardens to the biggest green spaces. Our specialist will study and find the best option suited to meet you requirements. Free yourself from the hassle of insects and return to enjoy your garden! Do you have a hotel, restaurant, pizza shop, bar or business out in the open where your clients aren’t happy by the presence of mosquitoes? It is time to install freezanz mosquito misting system! Free yourself from the presence of mosquitoes and obtain maximum satisfaction from your customers and improve the reputation of your restaurant! Don’t trust other products, trust freezanz! Click here to visit our site dedicated to the varied fixed misting systems, or fill in the form located on the next page. One of our experts will contact you straight away to answer your questions. Amazingly from this year no client has complained about the nuisance of mosquitoes, whereas the years before they have always been a problem. If you don’t believe it try for yourself! The Freezanz system was installed in the grounds of our accomodation at Forte dei Marmi (Lucca, Italy) in June 2014, instantly we had protection evening after evening without the nightmare of mosquitoes. 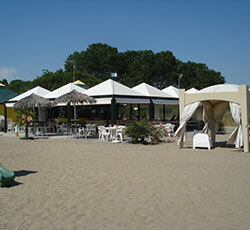 There are more than 100 freezanz misting systems working in Italy. Here are some of the most recent installments. 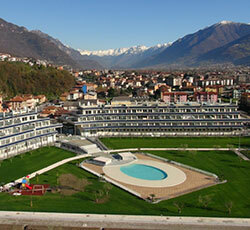 The "Freezanz system Srl", with its head office in Italy was born with an idea from Daniele Iacoponi. In the space of a few years, Daniele understood the ever growing problem and demand for something to combat against the huge presence of mosquitoes. zhalt portable is the cheapest but most efficient answer for the average consumer. For needs such as a small garden or terrace owner, constricted to not appreciate your outdoor space in the summer season due to growing number of mosquitoes. The original freezanz mosquito misting system is a fixed system that offers efficient protection for a greater space of 8000-9000 sqm. Made and launched in Italy, we have met the needs of hotels, restaurants, pizza shops, outdoor bars and clubs, private residence.